The "Refugio del Alba" (Dawn Refuge) continues to grow little by little. 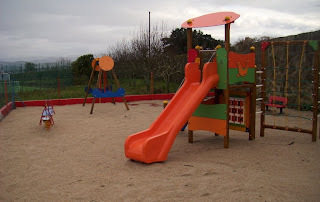 We just christened a new children´s park as a play area for the children at this children´s home. The project was made a reality thanks to the C&A Foundation that gave us the necessary funds to build it along with 2 other important building projects. As you can see, the children at the Dawn Refuge will be playing in style in 2010.